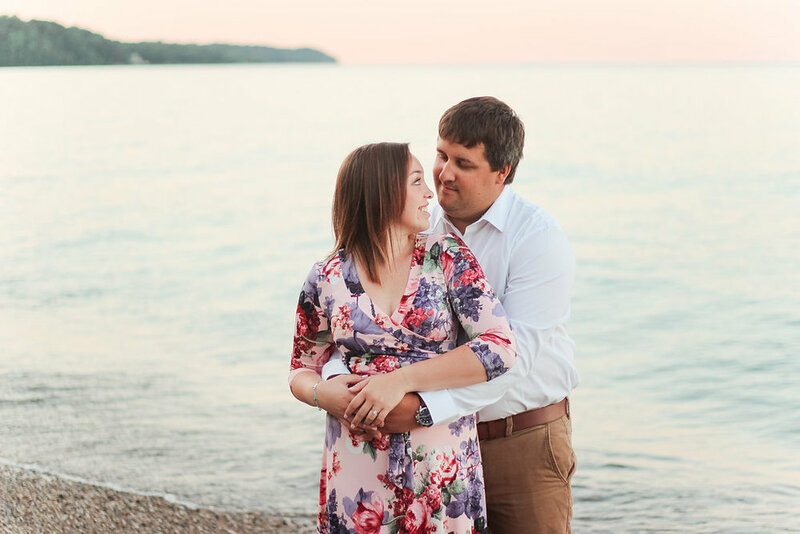 Melanie and Brad met during their freshman year at UW-La Crosse. They had several classes together and lived in the same dorm, but were ultimately introduced by mutual friends. They became fast friends and Melanie even helped Brad pass his history final (a class he never attended!) by studying with him for 12 hours straight! 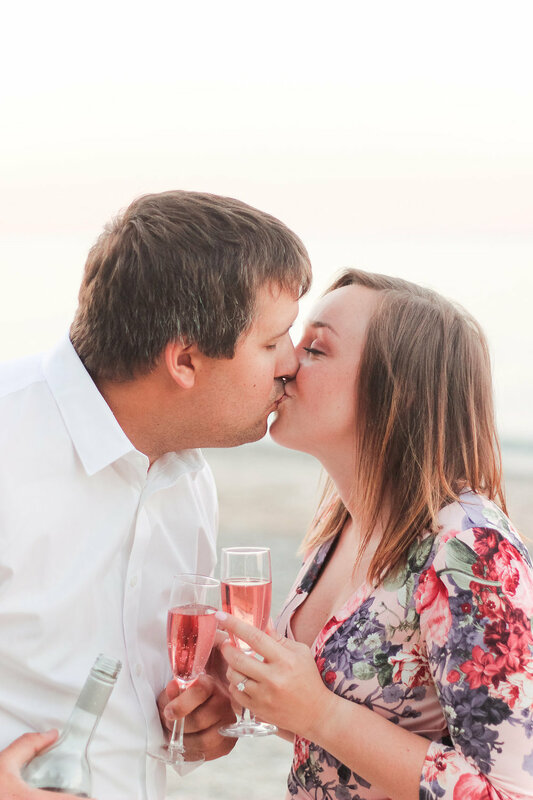 Brad knew he was in love when he couldn't get Melanie out of his mind after returning home from their first year of college. 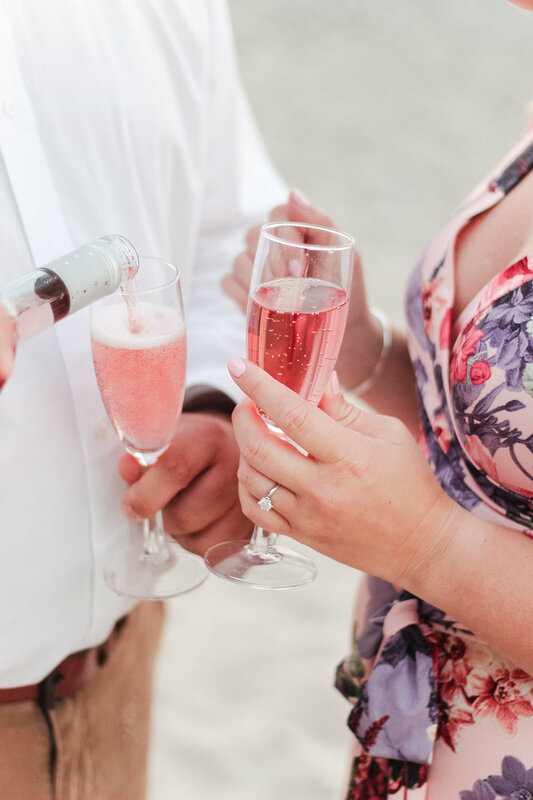 Even though it would be long distance, he knew it was unquestionably worth it to pursue a relationship from hundreds of miles away. 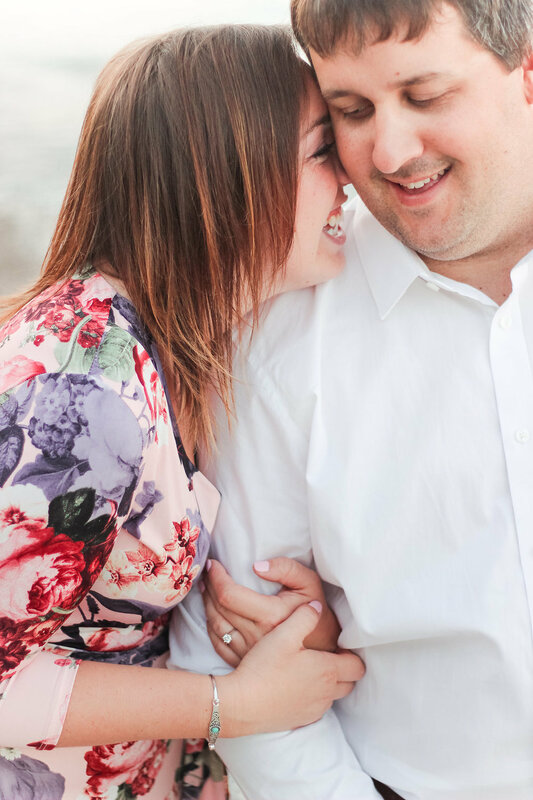 Melanie knew she was in love with Brad when the distance couldn't keep them apart; he supported her in every new endeavor she took on, including a new program and a new university! 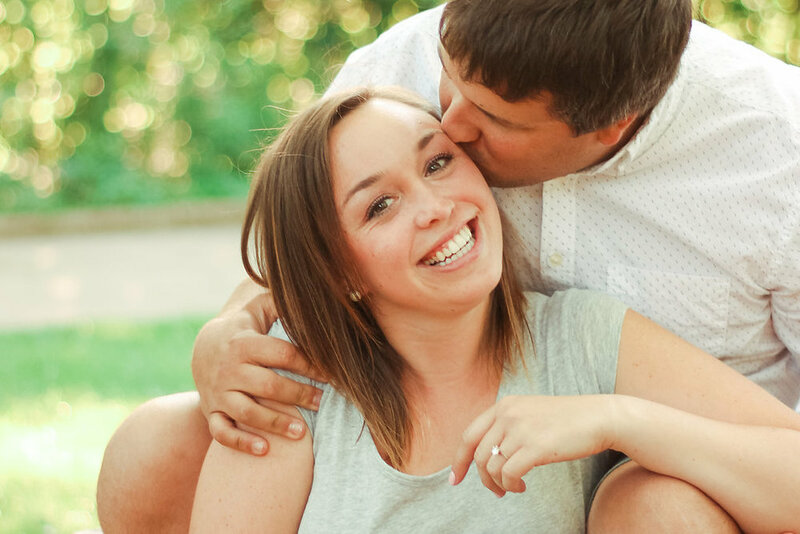 Brad proposed to Melanie at the UW-La Crosse campus, by the spot they frequently met at several times a week to talk, laugh, and get to know each other during their freshman year. The same spot where they fell in love was the spot where he decided to make it forever! 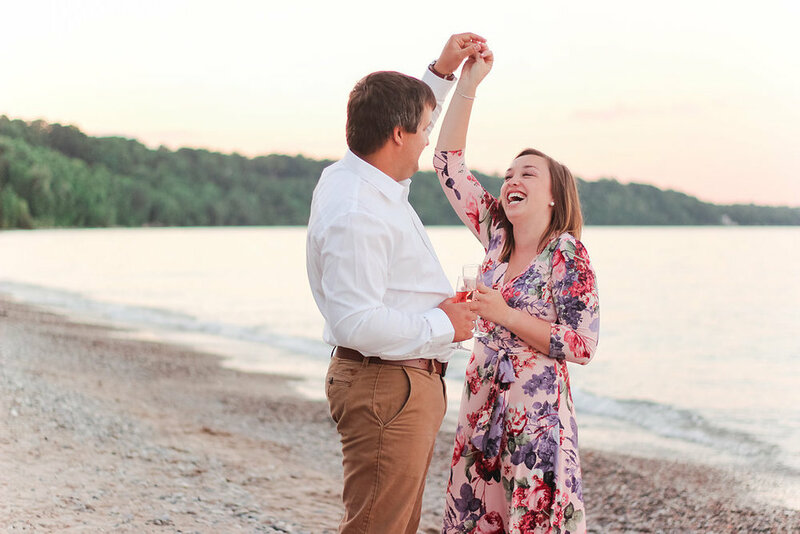 These two love everything magical about Wisconsin summers, and we had to find a way to incorporate that and showcase it in their engagement session. 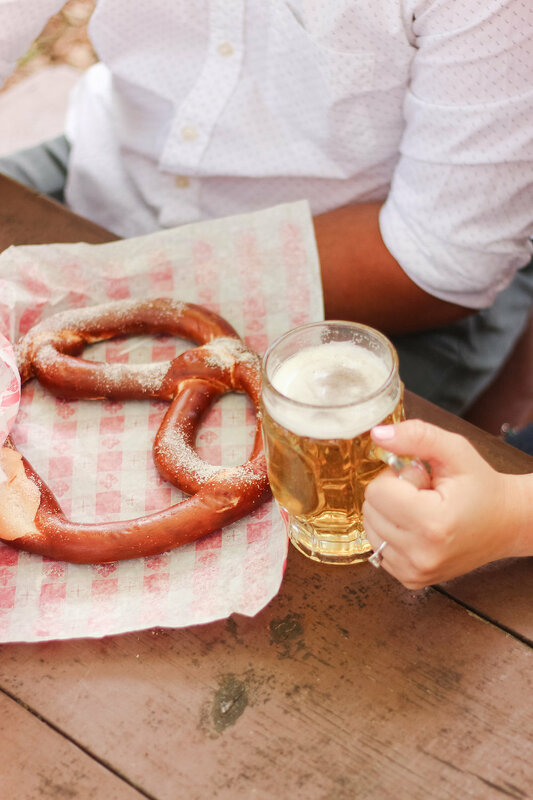 Enjoying brews at a Milwaukee beer garden and sipping champagne on the beach embodied everything they love about this state - and their session turned out so dreamy! Melanie has the most magnetic smile (you can’t help but be drawn to it! 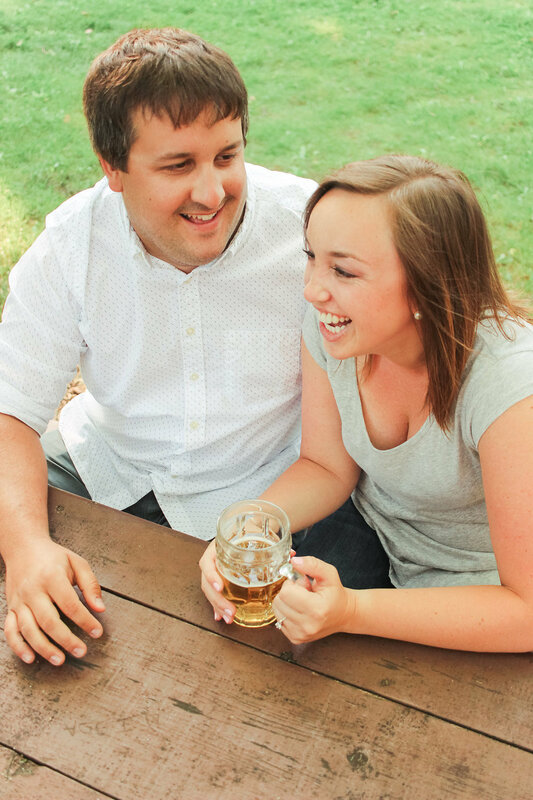 ), and Brad has the most wonderful way of bringing that out and making her laugh. 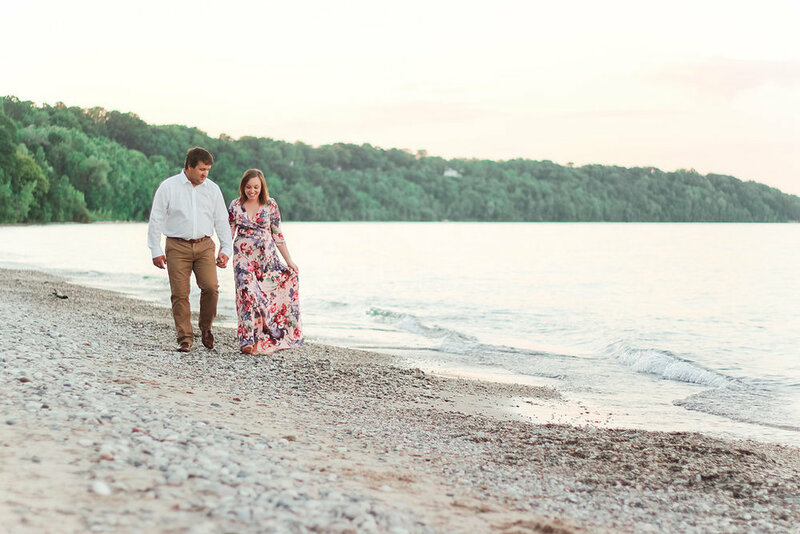 These two will be wed next March in Costa Rica, and if they can make a Wisconsin beach look this romantic, I can't wait to see what lies in store for their wedding photos!